Holiday Gifts For Guys Who Love To Sing! "Get Started On Your Dream" - Barbara Lewis - trailer from Barbara Lewis on Vimeo. It can be a challenge to find holiday gifts for guys. But if your "guy" (father, lover, brother, son..) loves to sing, then here is the perfect gift for him! "GET STARTED ON YOUR DREAM!" (US$9.95) is a simple, fun way to give your "guy" a gentle boost toward doing something he has always wanted to do, SING! "GET STARTED ON YOUR DREAM!" 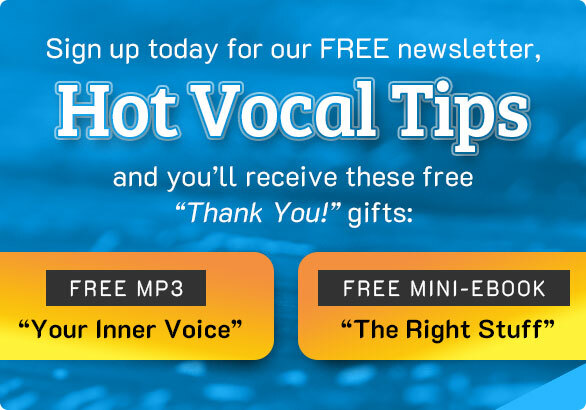 contains an E-Guide and a 20-minute vocal warm-up (an MP3) that leads the hopeful singer, step by step, into the world of singing. • I really want to sing, but I am too old! • What about my health? • What will my friends (and relatives) say? • But I don’t hear as well as I used to. And to sing, I have to hear well, right? • Could I consider having a “career” this late in my life? • How do I find a good teacher? • What can I expect at a lesson? • What do I need to bring with me to a lesson? • How much work will this take? 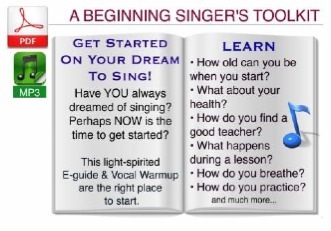 • What If I want to learn to sing by using one of the better known singing courses on CD or DVD? • Okay. So how do I get started? What do I do first? Singing is a great pleasure for many people, but it can also be a step toward better health, as well. •Your breathing changes – deepens. Your speaking voice becomes more powerful. • You discover shades of feeling that you never knew you had. • You learn how to express those feelings through song. In short, you become more fully yourself! Here is a short video about GET STARTED ON YOUR DREAM! from Barbara Lewis at Singing After Forty. GET STARTED-INTRO-GIFT-EXTRA.EV from Barbara Lewis on Vimeo. I wish all of your guys great singing! Back from Holiday Gifts for Guys to Get Started On Your Dream!